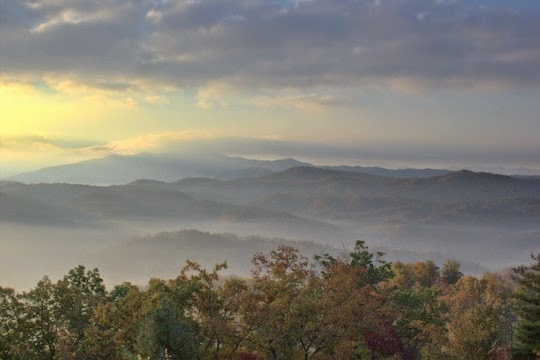 My favorite mountains anywhere, the Smokies never cease to amaze or provide new vistas. 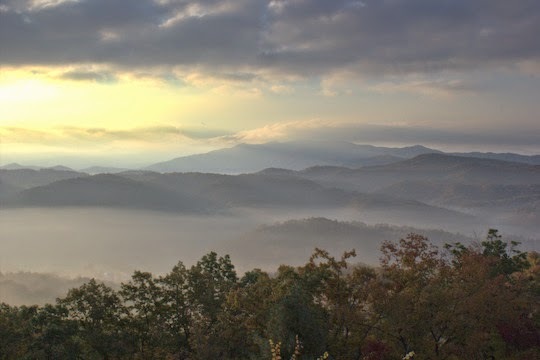 While on an early morning drive over the Foothills Parkway recently, I was treated to a prime example of why the mountains are referred to as the "Smokies." 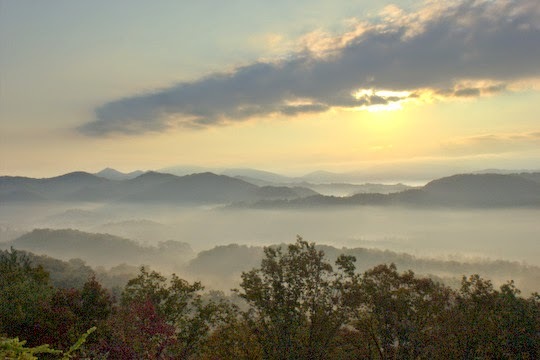 Prior to this moment, however, I enjoyed the sunrise from the famed Tail of the Dragon. Curvy enough to make the driver car sick, this road is either a joy or pure misery depending on your driving tastes. The occasional good views are beautiful though and quite possibly even worth the effort. 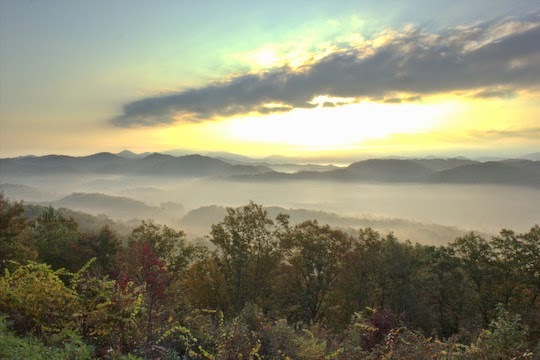 Thanks, David, for sharing the "Smokies" with us. 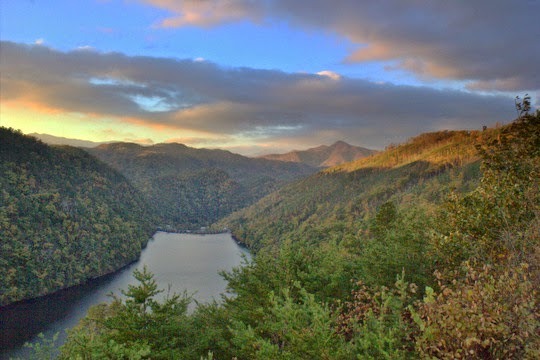 I, for one, have never been in that area, so I can easily see why you would love to live and fish in the area. Thanks Mel. It is a special place!